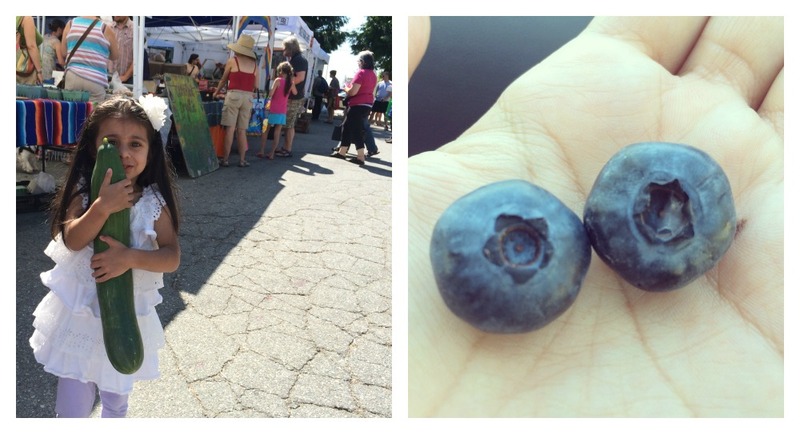 This week’s 3 Things Thursday has a theme, it’s all about Farmers Markets. Why you might ask? 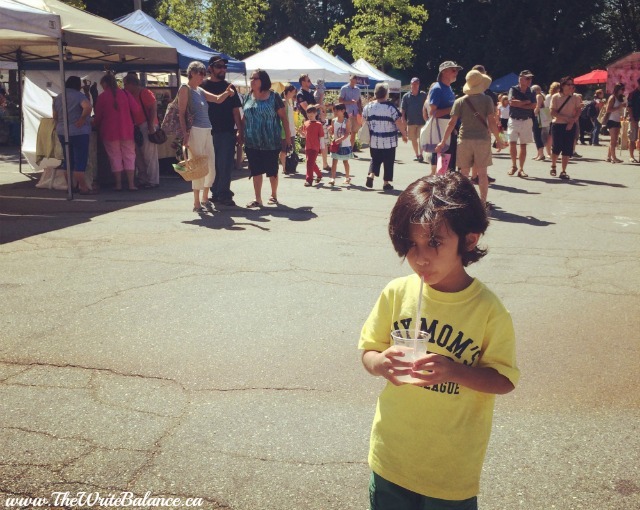 As a family, we are already big fans of our local summer farmers market, but I discovered that we have a local, weekly Winter Farmers Market in Port Moody as well. How great is that! Not only do they have local, seasonal fruits and vegetables we can buy, there are also many other great local vendors to support such as beer and wine, desserts and prepared food as well as crafts and jewelry to name just a few. Not only am I happy to be able to shop local, for the next couple of months I’m going to be working one of my friends and favourite bloggers, Tairalyn as well as the farmers market to help promote shopping local with their great list of vendors as well as their monthly hands-on workshops. In addition to that, we are hosting a fun weekly giveaway on their Instagram and Twitter accounts where you will learn some tips and tricks you may not already know, about gardening along with the chance to win money to spend at the market on Sundays! Where else can you get cucumbers the size of a three-year old and juicy, sweet blueberries that you can eat right away without washing? And all grown in beautiful British Columbia. 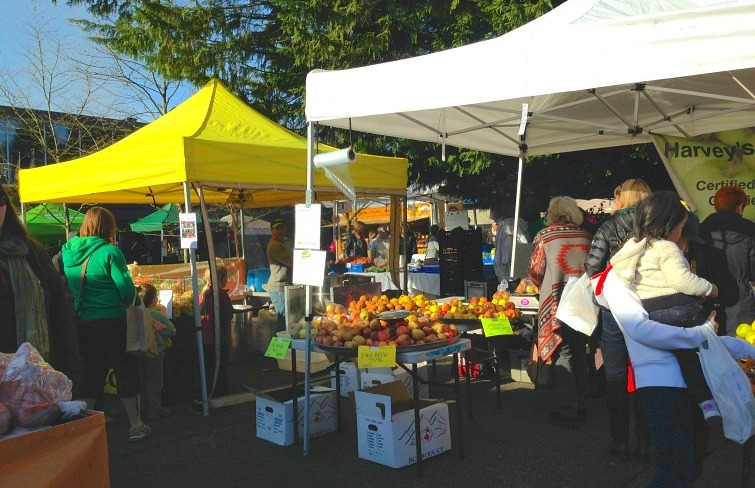 Farmers Markets give you the opportunity to shop local and support the local farmers and vendors. Why is it important to shop local you might ask? Not only does it support locally owned businesses, it helps them grow and they in turn use local resources, employ local workers and service local customers. It really helps to grow and sustain the community. Plus, they make really good lemonade and that’s a good enough reason for my 5-year old to shop local. If you think about sustainability and your carbon footprint, farmers markets really help you reduce your footprint for a number of reasons. One, your food doesn’t have to travel so many miles before it gets to you. Purchasing in-season produce also helps you avoid energy sinks like heated greenhouses and cold storage. Overall it’s healthier food for you to be consuming while doing your part for the community and environment. What are your thoughts on farmers markets and #supportinglocal? 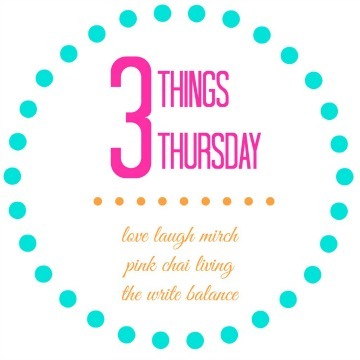 Those are the three things I wanted to share for this week’s #3ThingsThursday. now I’d love to hear yours. If you want to participate, here’s what you need to do. Write a blog post about three things you want to share. Grab the badge from the top of my post. Make sure to link back to either myself, Salma at The Write Balance, Raj at Pink Chai Living or Nisha at Love Laugh Mirch. Then click on the linky below to add your post. It’s that easy. Can’t wait to read about your three things. Farmers markets are wonderful groups. I wish we had one close to us. About ten years ago we visited one in a town about 20 miles away at St. Albans in England. That’s the one Queen Bodica of the Icene tribe burned to the ground after the Roman’s ravaged her daughters. Anyway, I diverse. The stall-holders displayed wonderful products, like cheese and rare meats, but we found very few cheap locally grown vegetables. That’s what I’d buy. I shop at farmers markets a lot during the summer. I live in a wintery climate in upstate New York. From November to April we have a winter market, but truthfully, at this time of year it is slim pickings unless you want honey, egg, meat or baked goods. I bought some crackers last week, and that was it, because my two person household had enough meat and other goods. I love Farmers markets. There is one just around the corner. Love their pies! LOVE our farmers market which I discovered last year… though in the winter, they import their produce— so I don’t go… come spring/summer, I am back though!!! !